Basically stock engine performance wise (1 bar boost on stock turbo and full exhaust). 04 malibu CLASSIC 0 to 60mph about 8 or 9 seconds. its got the ecotec engine. I just wish it would rev higher, the powerband isnt very good until about 3000 rpm. Crew chief: \"the upper shock tower mount just broke. the strut could come right through the hood.\"
DC: *looks at pile of spare parts* \"its cool. i got another hood. lets race\"
I don't have the 1/4 times right now, but will soon. You can pick your friends, and you can pick your nose. 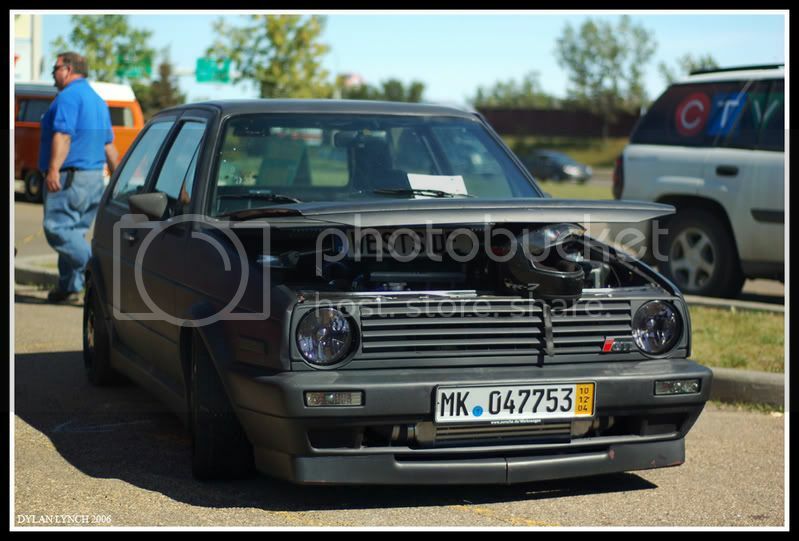 My 87 16vT GTI on 12 psi and water injection runs 13's, on street tires and open diff! Spec sheet is pretty big but the jist of it is 9a 2L 16v engine, t3 super 60, log mani,yonika ic, weber tb, megasquirt, bosch green tops, list goes on and on and on!! fun car, but damn was it finnicky! question-"so why did you get an S12??" Answer-"cause Corvette owners used to hate being molested by my GTI, now that the C6 Z06 is out, I wanted RWD, plus I'm cheap!!" 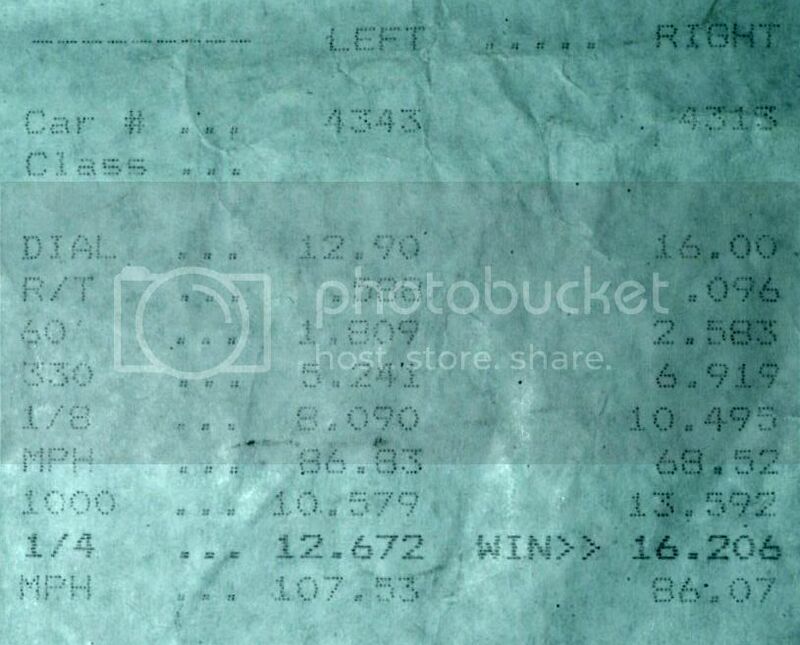 My best pass in the 280z is 11.24@124mph. 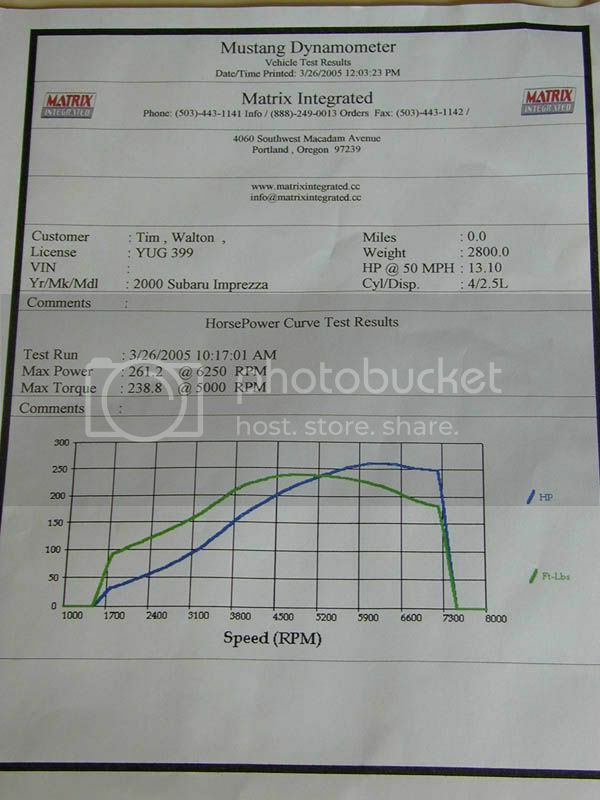 I dynoed at 420whp at that point. Since then I've dynoed at 460whp and am probably pushing a little more than that to the wheels but havent been able to get a 10 sec pass yet. by the end of the summer I will have a fully built head/cam combo on the car and should hit at least 525whp and run consistent 10.50-10.60's. 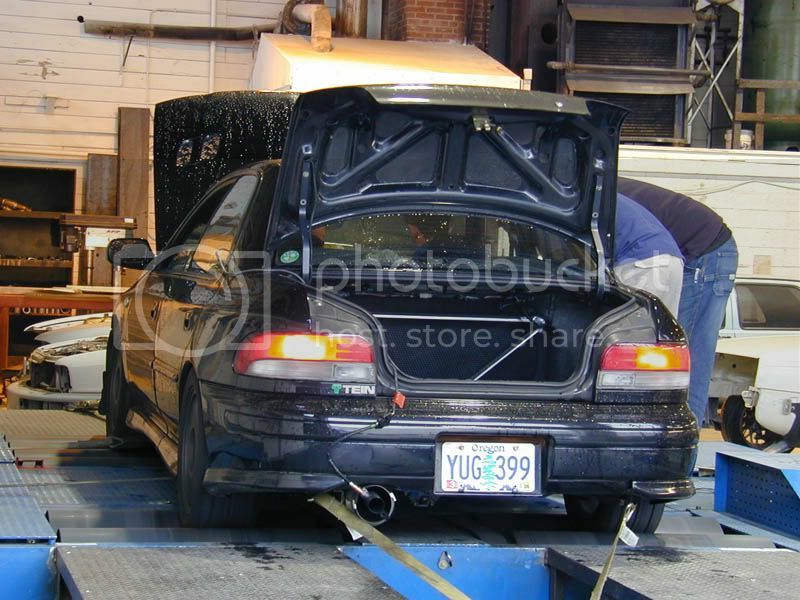 I saw this thread and decided to run my corolla (AE102). Had my girlfriend time it as I accelerated, so its accurate, but not PERFECTLY accurate. The roads were a bit wet here though, so my tires didnt want to grip for a second. i dunno, but his S12 has an Sr20det, so im gonna guess its probably an SR20 as well. yeah its a ka look at the valve cover. I am shocked at how many people think it has a black top sr20 in it. just cause the valve cover is powder coated black. I actually had a kid with a s14 that I know has had the car for a couple years look under my hood and say " sick a sr20det black top". the picture above is a little small but when people see it in person and still don't know its bad. happened a lot at the car show. its just hard for people to understand that all 240's dont have a sr swap. but most 240's do.